World Ranger Day honours park rangers across the world who have been injured or lost their lives in the line of duty, and also celebrates the role rangers play in protecting our natural resources, including wild animals and plants. 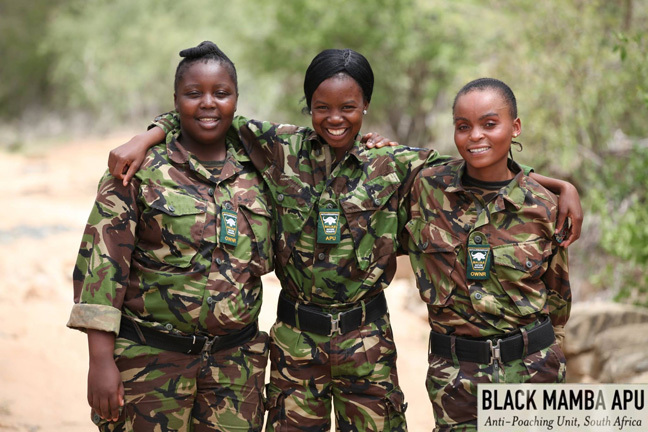 The challenges and risks that rangers face have increased significantly in recent years due to the surge in the poaching of and illicit trafficking in wildlife, particularly of some of the world’s most iconic species such as elephants and rhinos. Illegal trade in wildlife is occurring at a scale that threatens wildlife, people and their livelihoods and it is being driven by transnational organized crime groups, rebel militia groups and, on rare occasions, rogue elements of regular military forces. Honest and hardworking park rangers devote their lives to protecting our natural resources and cultural heritage and, in some areas, these brave men and women regularly encounter well-resourced groups of poachers, equipped with high caliber weapons, who do not hesitate to use violence or threats of violence against them. Yet these devoted rangers determinedly perform their duties, often without the recompense allocated to their counterparts in other enforcement agencies. This occasion offers the CITES Secretariat an opportunity to again draw attention to the work being done under the Monitoring the Illegal Killing of Elephants (MIKE) programme. MIKE was developed by CITES to strengthen individual and institutional capacity in elephant range States in Africa and Asia to manage and protect their elephant populations. Working with over 1,500 park rangers and data-management officers in Africa, MIKE has hosted over 80 training programmes since 2008. This work is being further expanded under the Minimizing the Illegal Killing of Elephants and Other Endangered Species (MIKES) programme that will provide practical and real time support to rangers who are serving in the field in selected sites. Sadly, in the past 12 months we have lost a further 107 rangers in the line of duty that were reported to the International Ranger Federation as shown in the Ranger Roll of Honour. Today, the CITES Secretariat joins the rest of the world in saluting those honest and hardworking park rangers who are serving in the front-lines, in recognition of their dedicated work to protect our natural resources and cultural heritage for current and future generations. On this special day, we also carry in our thoughts the park rangers who have paid the ultimate price in the execution of their duties, as well as the families and friends they have left behind. The best way to pay our tribute to these brave men and women is to give our concrete support to the frontline fighters. The world’s governments and communities from across every nation are determined to win this fight against poaching and wildlife trafficking. On 30 July 2016, just one day before last year’s World Ranger Day, the UN General Assembly adopted the historic resolution on tackling illicit trafficking in wildlife. In less than two months from now, the 182 Parties to CITES along with hundreds of interested international and national organizations, will gather in Johannesburg, South Africa at the World Wildlife Conference, or CITES CoP17, where they will debate and decide upon what further measures are required to tackle illicit trafficking in wildlife. On World Ranger Day 2016, we join you to "stand with the park rangers of the world in their fight to protect wildlife"!